If you enjoy using fountain pens, there’s a chance you also enjoy photographing and sharing photos of them. 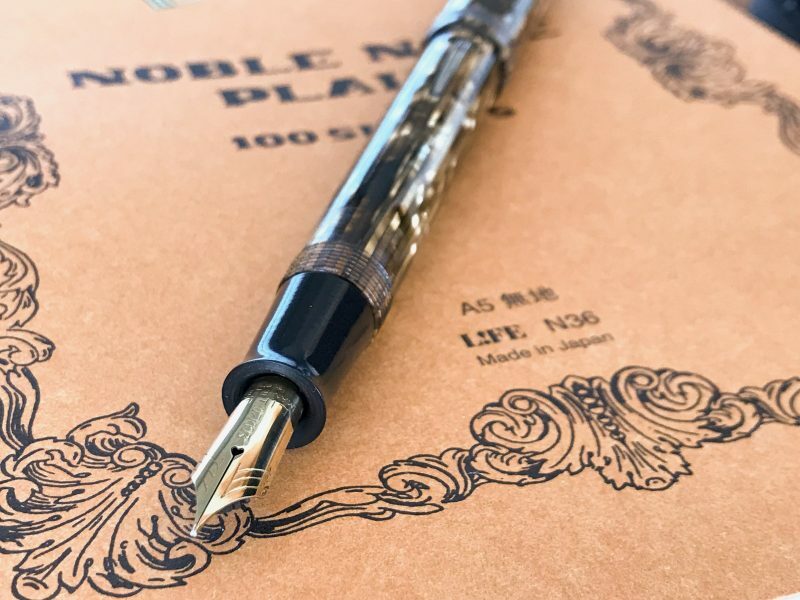 In this series of articles, I want to share some tips on how to photograph a fountain pen so that you can get the best images possible, regardless of what type of camera you use. Before you start taking photos, you’ll need to make a few decisions, most of which deal with the esthetics of the images you’re about to create. 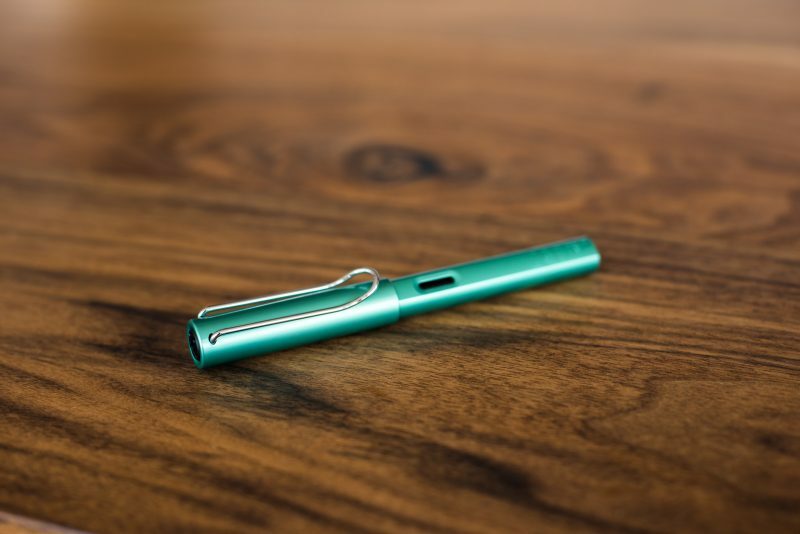 Do you want to photograph the entire pen or just parts of it like the nib or clip? Do you have specialized photography equipment, and if so, do you have a variety of lenses? 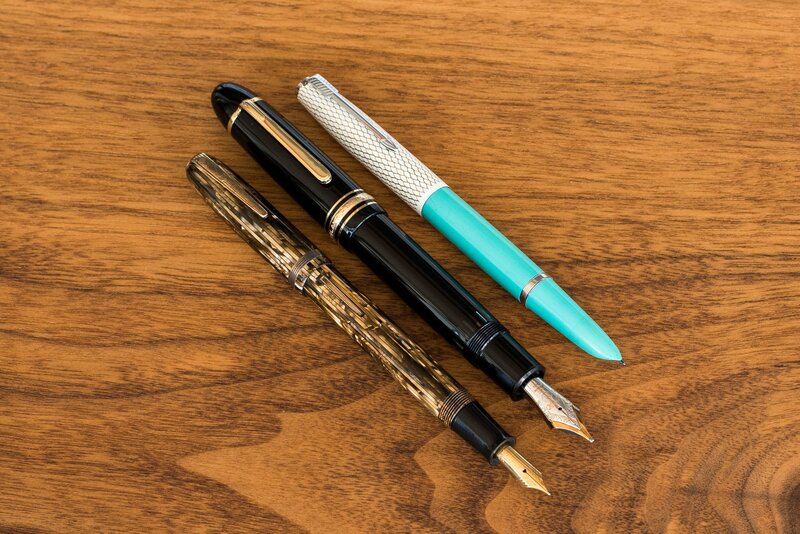 In this article, I’m going to cover some of the different types of gear you can use for fountain pen photography. If you haven’t already done so, please consider reading Part 1 and Part 2 of this series. A note about the following images… clicking on the images will give you a version that is better quality. This should make it easier to see the difference between similar images. 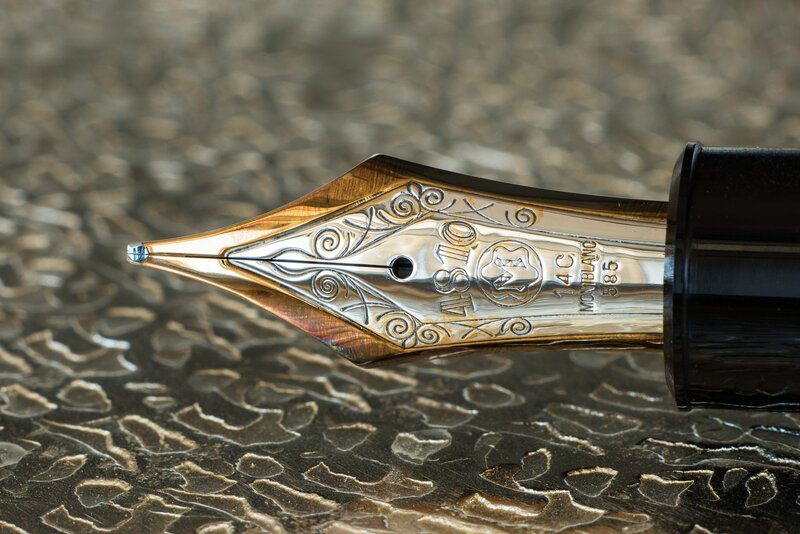 Most people think that the camera is the most important part of photographing a fountain pen. In reality, it is probably the least important part. 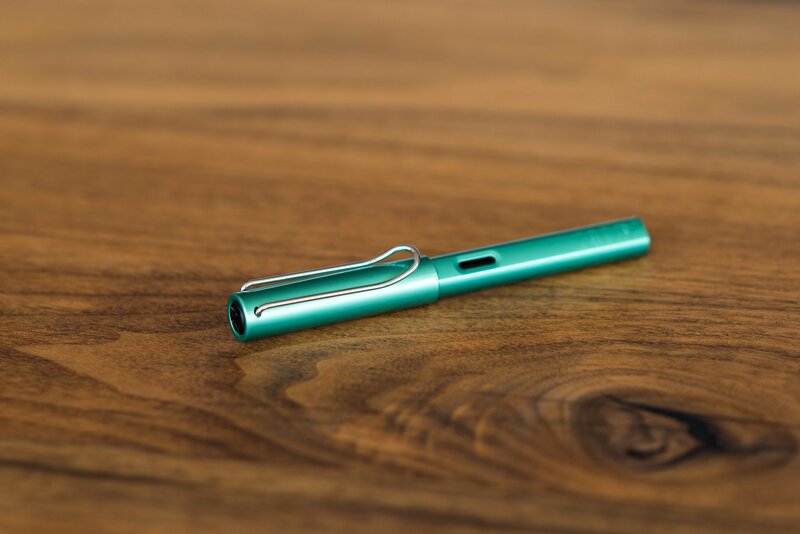 Still, the camera you choose will affect how you photograph your pens. If you choose to use a phone, you don’t have many decisions to make. If you choose to use a DSLR or mirrorless camera, you’ll have to choose which lens to use. Let’s first talk about the simplest option, phone photography. Assuming you’re using a modern phone with a decent camera, the quality of your photos will almost entirely depend on your light. Even if you have good light, you’ll also want to make sure to get a good exposure, so make sure that you know how to adjust exposure with whichever camera app you’re using. If you decide to use a DSLR or mirrorless camera, you’ll not only need good light but also have the additional choice of which lens to use. In general, if you want to photograph a scene, a normal or telephoto lens (50-200mm focal length) will usually give you the most flattering image. 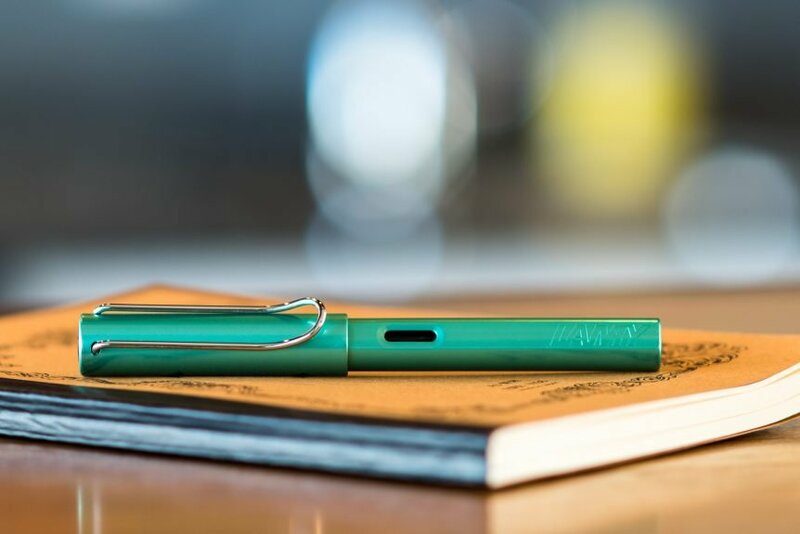 If you want to photograph pen details, such as a nib, you’ll want to use a lens that allows you to focus at a very close distance, such as a macro lens. – Wide focal lengths (16-35mm) will capture much more of a scene and, if you get too close to your subject, might distort it. – Normal focal lengths (35-50mm) will capture a scene in much the same way as your eyes see it. – Telephoto (tight) focal lengths (50mm-200mm) will capture very small parts of a scene, compress the objects in the image and tend to make objects in the background look soft and out of focus. Here is a series of images taken with three different focal lengths. In the first series, I stay in the same place and change lenses, which you will see shows more or less of the scene. In the second series, I keep the pen framed the same in the image, which means I have to physically move my camera closer or farther from my subject as I change lenses. This was taken with a 135mm lens from the exact same location as the next two photos. This was taken with a 50mm lens from the exact same location as the previous and next photo. This was taken with a 20mm lens from the exact same location as the previous two photos. Same framing, different focal lengths – This was taken with a 135mm lens. Notice how the pen looks a little more “flat” than with the other lenses. Same framing, different focal lengths – This was taken with a 50mm lens. Notice how the pen looks normal. Same framing, different focal lengths – This was taken with a 20mm lens. Notice how the pen seems to bulge in the middle. As you can see, for fountain pen photography a tighter focal length is generally preferred over a wider focal length. These not only make it easier to fill the frame with the pen, but also help to reduce distortion and make the background look softer. Macro lenses are a different type of lens that allow you to photograph a very small portion of a scene with great detail. 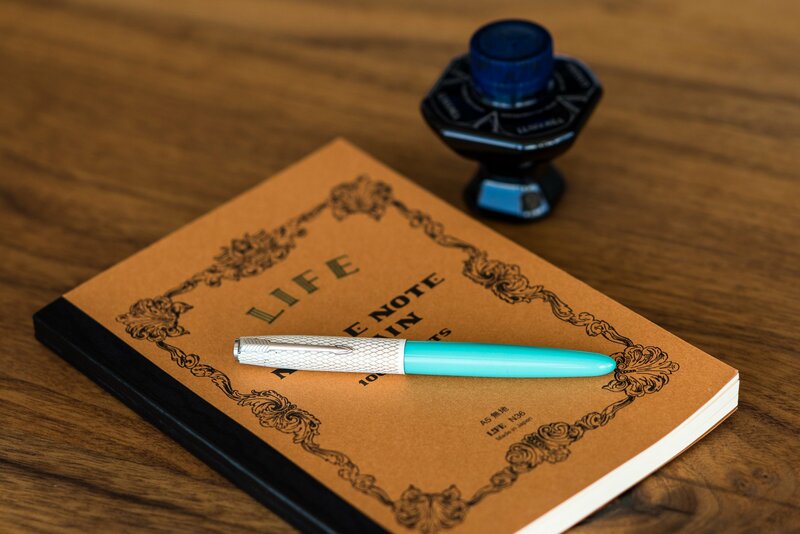 While a standard lens might allow you to photograph a fountain pen as a whole, a macro lens might allow you to photograph just the nib. When you can fill your entire frame with just your fountain pen’s nib, you can see enormous amounts of detail. This image was taken with a lens and an extension tube. Notice how much detail you can see in the image. If you don’t have a macro lens, you can also purchase extension tubes that allow your regular lenses to function like macro lenses. 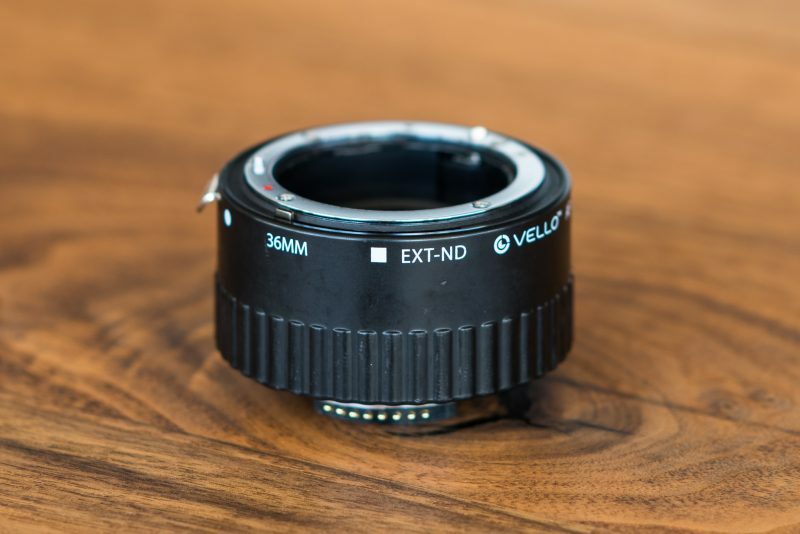 While they are much less expensive than a macro lens, they also have a few downsides, such as needing more light, sometimes being manual focus, and occasionally not allowing communication between your lens and camera. Still, if you don’t want to purchase a macro lens, an extension tube is a great alternative. This is what an extension tube looks like. They come in different sizes and are a relatively inexpensive alternative to a macro lens. Regardless of if you decide to use a normal, telephoto, or macro lens, you might run into issues with not enough depth of field. This means that parts of your image might be out of focus. For some scenes you might be able to use a smaller aperture (higher f-number on the lens), but for others even this might not be enough to get everything in focus. If this is the case, your only option is to rearrange your scene so that everything is in focus or move your camera farther from your scene and crop the final image. One thing to keep in mind… when you use a smaller aperture, you’ll be letting less light into the camera, so chances are you’ll need to use a tripod. 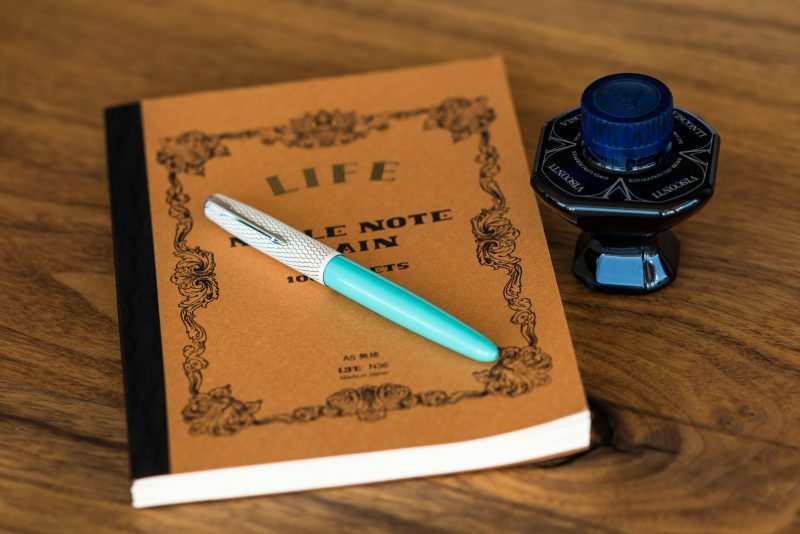 In this image, the pen is in focus but the ink bottle is out of focus. This does not work for me. By adjusting the composition, I was able to get both the ink bottle and pen in focus. This image was shot at f/2.8, which gives a shallow depth of field. Notice that the ink bottle is out of focus. This image was shot at f/16, which gives a wide depth of field. Notice that the ink bottle and more of the book are now in focus. 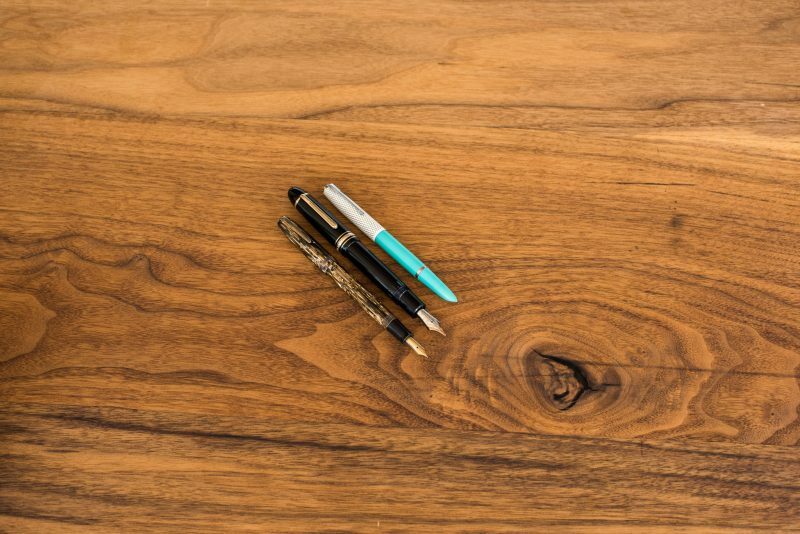 If I frame these three pens like this, parts of the pen are out of focus because I am too close to them, even though I am shooting at f/8. If I move my camera away from the pens, they are now in focus but there is too much table. 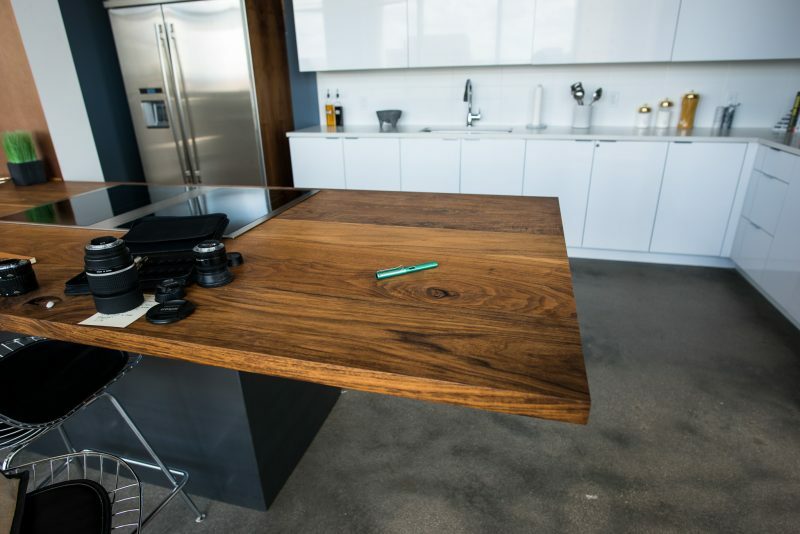 I am able to crop the previous image so that the table disappears and I have a similar image to the one I started with, but now the pens are in focus! The camera you use to photograph your pens can also affect your final images. Currently, you have quite a few different camera options. While I’m not going to go into a huge amount of detail for each one, I do want to mention a few of the pros and cons of each available digital camera system that most people might consider using for fountain pen photography. Almost everyone has a cell phone these days, which means that almost everyone has a camera in their pocket. Modern cell phones have very capable cameras that can take great images. Additionally, the cameras on many newer phones have multiple lenses, giving you different focal lengths to choose from. While cell phones do a good job, some people might find them limiting and want to take their photography to the next level. Before cell phones had decent cameras, most people who didn’t own a DSLR probably owned a point and shoot camera. While they have largely fallen out of favor for many people, there are still some great options out there. Advanced point and shoots have many advantages over more advanced cameras and cell phones. They have much better lenses and imaging sensors compared to cell phones, not to mention many more options and better manual controls. Compared to a more advanced camera, they can be significantly cheaper and much lighter. While they aren’t for everyone, they might be the perfect camera for some people. Probably the most common camera these days (besides cell phones) is a DSLR (Digital Single Lens Reflex) camera. These have interchangeable lenses, manual controls and much larger imaging sensors than a cell phone camera. This means that they have a lot more options and flexibility, but at the expense of size, weight and cost. Still, for many a DSLR is an investment that can not only be used for fountain pen photography, but personal photography as well. One major benefit to DSLRs is that there is a lot of used gear out there, so you can pick up used bodies, lenses and accessories for a good price. The newest players in the camera market are mirrorless cameras. These are generally smaller, lighter and less expensive than DSLRs. They also offer some advanced features that simply aren’t available on DSLRs. Unfortunately, due to their relative newness, there aren’t nearly as many options for used gear as there are with DSLRs. They also do not have as many lens options when compared to DSLRs. Regardless, if you are in the market for a camera, I’d suggest you strongly consider a mirrorless option. Which Camera Type Is Best? With so many different camera types, brands and models on the market, which is the best? That’s not a question I’m even going to try to answer. It really depends on so many things, including your budget, skill level and intended results. If I had to generalize, though, if you want a camera that is an upgrade from your phone, I would suggest you look at mirrorless cameras. They are currently the sweet spot for price, features and quality. 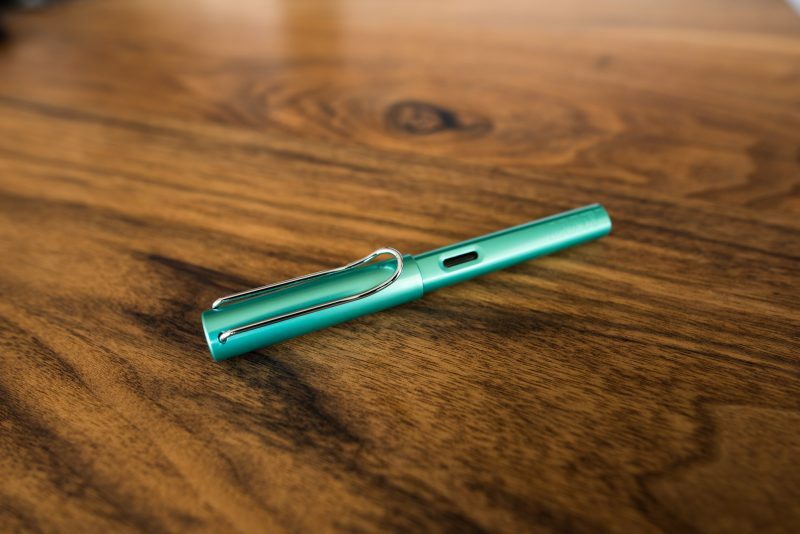 If you already have a DSLR, I don’t think it’s worth it to completely switch over to a mirrorless system if you’re only doing it to photograph fountain pens. But, if you’re just dipping your toes into the world of photography outside of your phone, mirrorless is a great place to start. While a camera, lens and pen might be all you need to create an image, there are other pieces of gear that can make it a whole lot easier. A tripod is probably the most important piece of additional gear you should consider buying. A tripod will help you hold your camera steady during longer exposures, which is very important if you want to avoid blurry images. You might also find a tripod useful when composing your images, since you can mount your camera to the tripod, adjust your scene and check the composition until it looks exactly how you want it to look. Lighting is also something that you should consider. A simple reflector can bounce available light into the shadows of your scene. LED lights can add or create light that didn’t exist when you started. 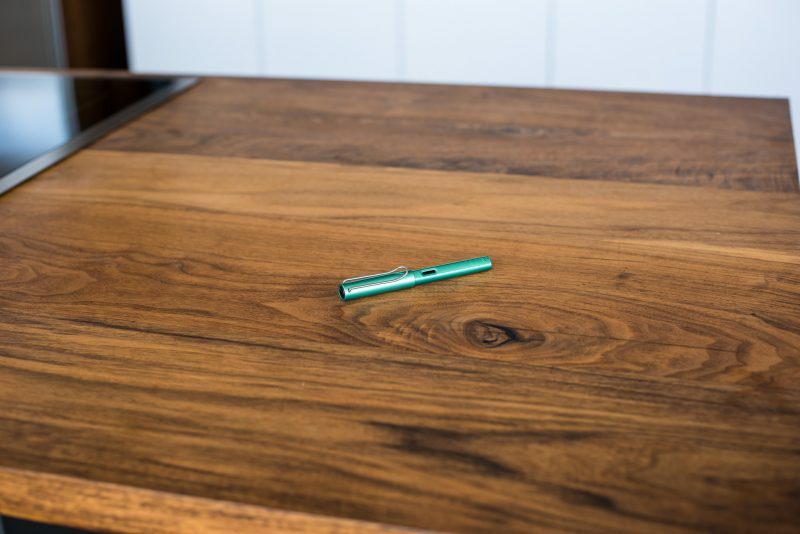 And finally, a simple light tent can give you a clean, evenly lit scene where you can photograph your pens. If all of this sounds a little overwhelming and confusing, don’t worry, it’s not just you… it is overwhelming and confusing! Photography is a massive field and the number of different camera and lens options that exist within it are mind boggling. So, with that being said, if you are going to buy a camera strictly for fountain pen photography, here are my final words of advice. Set your budget, make sure you include a tripod in that budget and stick with it. Even the most basic, entry level cameras can take great photos with enough light and low ISOs. You might be tempted by features in more expensive camera models (and trust me, there is always something just a little better than what you’re looking at), but if you don’t get carried away and stick to your budget, it is very likely you will be happy with the camera you purchase and won’t be overwhelmed by the complexity of a more advanced camera. In addition to the camera, lenses are something else to consider. Different lenses can give your images a different look, so if you have any friends with a specific brand of camera, consider buying the same one so you can possibly borrow their gear to try out. 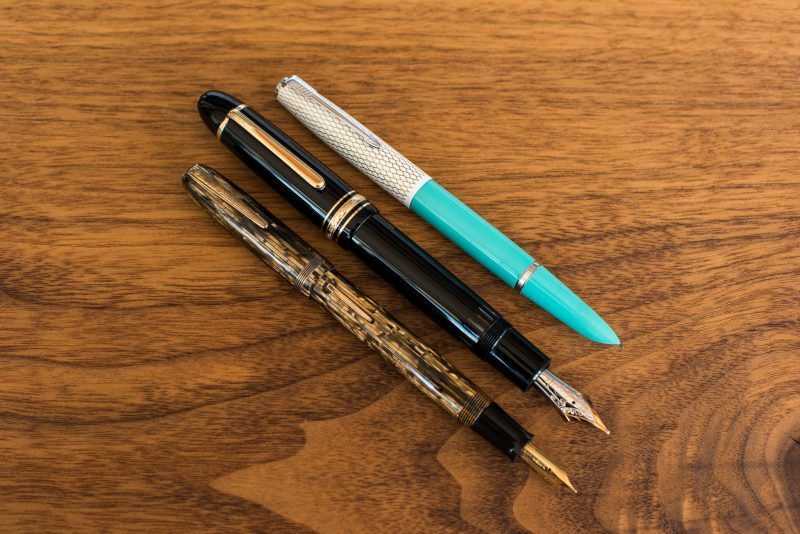 Don’t feel like you have to have multiple lenses to photograph fountain pens. Chances are you can do almost everything you want to do with just one lens and an extension tube. Finally, don’t be afraid to experiment. Once you have the camera gear, taking photos is fast, easy and free. Try different settings and see how your images are affected. 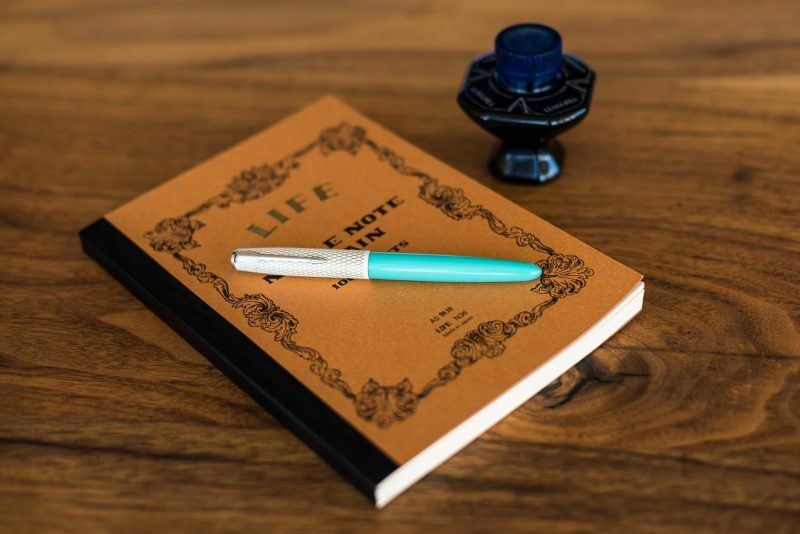 Take notes on what works and what doesn’t (bonus: taking notes is a great way to use your fountain pens). Ask questions on social media if you see an image that you like and don’t know how it was made. Using an advanced camera system is much more complicated than a cell phone, so don’t expect it to take beautiful photos straight out of the box. Just like getting good handwriting, the pen doesn’t do it all… it’s going to take some practice. Finally, if all of this sounds too complicated, you’ve always got a very capable camera in your pocket! Thank you, Doug. Some of these concepts are really hard to understand without images, so I’m glad you found my layout and method helpful!